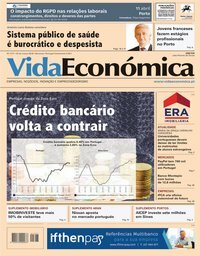 Estará na hora de se "re-regular" o sistema financeiro? 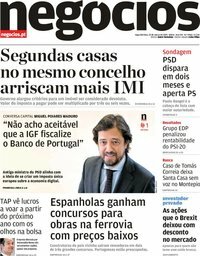 Conseguirá um Governo e um Banco Nacional ou mesmo uma Comissão e um Banco Europeu melhorar a regulamentação, regulação e supervisão de modo a estabilizar e credibilizar o funcionamento e a inovação do sistema financeiro? 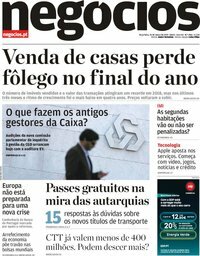 Será apropriado encetar uma "re-regulamentação" em plena crise financeira? 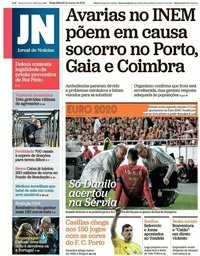 Os neoliberais capitalistas utilizam a palavra "re-regular" como se alguma vez o sistema financeiro tivesse estado regulado/regulamentado. 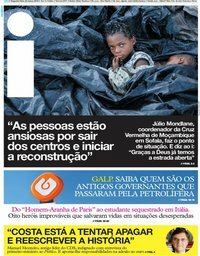 É interessante verificar que os defensores do neoliberalismo financeiro deixam frases nos seus jornais e nos seus debates a determinar, à partida, o seguinte: "Esta casa acredita que seria um erro regular o sistema financeiro logo após a crise". 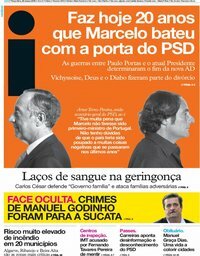 Ora, quem começa assim um debate que resultado pretende atingir? 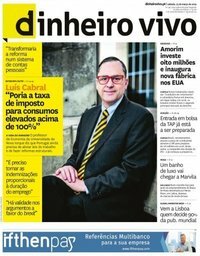 Será um erro regular, regulamentar, supervisionar, averiguar e responsabilizar o sistema financeiro quando este está em plena crise? 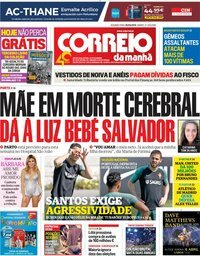 Será que o resultado seria melhor ou pior? 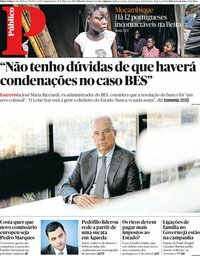 Estaríamos a retardar a inovação financeira e a (re)introduzir novos riscos e ainda mais perversão/corrupção? Monday October 13th was Baroness Thatcher’s birthday. It was also the start of a week that has seen Western governments resolve to part-nationalise numerous banks in the biggest state incursion into free-market capitalism since the second world war. Those events, though coincidental, may not be entirely unconnected. The wave of deregulation since the 1970s, so associated with Thatcherism, has helped produce staggering increases in prosperity. 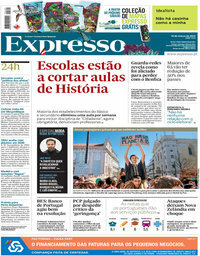 But it may also have helped push the world to the brink of financial break-down. With that in mind, what better week could there be for holding a debate on how best to re-regulate the system after the credit crisis? And who more qualified to thrash it out than two Nobel-prize-winning American economists with famously forthright views on free markets. Myron Scholes, who shared the Nobel prize for economics in 1997 for determining the value of derivatives, is one of the architects of complex, deregulated finance. His option-pricing theory, the Black-Scholes model, led to the explosive growth of options trading. He remains a practising hedge-fund manager, and has been investing in stockmarkets since his high-school days in Canada. In support of the motion, “This house believes it would be a mistake to regulate the financial system heavily after the crisis”, he defends the innovations made possible by unfettered finance. The “proponents for re-regulation fail to measure the benefits of the myriad financial innovations that have succeeded since regulatory constraints were relaxed in the 1970s,” he argues. Indeed, heavy regulation has not stopped banks and broker-dealers collapsing in the past, he notes. He proposes a light-touch response to the crisis, a simple requirement on banks to hold more capital to prevent them becoming over-leveraged. He explains why it doesn’t matter if the extra capital reduces a bank’s return on equity, because with less debt, the equity is less risky. Too much leverage, or too little capital, generally magnifies the effect of a shock, and causes a vicious circle of selling, he says. All very well buttressed with financial theory. Joseph Stiglitz, his opponent, is sure to have none of it, however. Professor Stiglitz shared the Nobel prize for economics in 2001 for helping develop a theory of asymmetric information which showed that only under exceptional circumstances are markets efficient. Outside of the economics profession, he is better known for his withering critiques of the IMF and free markets, even while he was chief economist at the World Bank. His opposition to the motion rests on the assertion that inadequate regulation has caused this crisis, and all those other crises leading up to it. Stronger regulation, relating to corporate governance, pay, lending practices, etc, is necessary, he argues, not least because American taxpayers are repeatedly on the hook for bailing out Wall Street. He gives short shrift to the supposed benefits of financial innovation. “The fact of the matter is that most of that creativity was directed to circumventing regulations and regulatory arbitrage…” he says. It didn’t help ordinary people, nor did it do much to improve the economy’s efficiency. New regulatory structures should be run by people less in thrall to those that they regulate. On only one point is there common ground: some additional regulation is inevitable as a result of the massive use of taxpayer money to rescue imprudent banks. But as to whether it should be a lot or a little, there is plenty of disagreement—which is probably true of society at large. Let’s see which side wins. As far as possible, the debate will be regulated with a light touch, rather than a heavy hand. The more the audience gets involved, the better. But do be polite. As the Iron Lady so aptly put it, “I always cheer up immensely if an attack is particularly wounding because I think, well, if they attack one personally, it means they have not a single political argument left.” Happy Birthday m’lady. There is now a rising chorus among regulators, politicians and academics claiming that the freedom to innovate in the financial domain should be curtailed. This stemmed from the apparent recent failures in mortgage finance and credit default swaps and the apparent need for governments and central banks to “bail out” failing and failed financial institutions around the world directly through capital infusions and indirectly by providing a wide array of liquidity facilities and guarantees. They claim that freedom in global financial markets has proceeded at too rapid a pace without controls—in particular with an incentive system that rewards risk-taking at the expense of government entities—and as a result “throwing sand in the gears” of innovation will reduce “deadweight costs” and “moral hazard” issues. Obviously, these same proponents for re-regulation fail to measure the benefits of the myriad financial innovations that have succeeded since regulatory constraints were relaxed in the 1970s. And they fail to account for the vast increase in the wealth of the global economy that has resulted from the freedom to innovate. Economic theory suggests that financial innovation must lead to failures. And, in particular, since successful innovations are hard to predict, the infrastructure necessary to support innovation needs to lag the innovations themselves, which increases the probability that controls will be insufficient at times to prevent breakdowns in governance mechanisms. Failures, however, do not lead to the conclusion that re-regulation will succeed in stemming future failures. Or that society will be better off with fewer freedoms. Although governments are able to regulate organisational forms, they are unable to regulate the services provided by competing entities, many yet to be born. Organisational forms change with financial innovations. Although functions of finance remain static and are similar in Africa, Asia, Europe and the United States, their provision is dynamic as entities attempt to profit by providing services at lower cost and greater benefit than competing alternatives. We would be derelict to regulate the financial industry heavily without attempting to understand the cost and benefits of regulation and without a thorough understanding of the causes of this crisis. With haste, new forms of regulation will probably not lead to less chance of further crisis and failures. History suggests that even the most heavily regulated banking (and broker/dealer) sectors have collapsed or nearly collapsed on myriad previous occasions. New regulations have supplanted old regulations to no avail. I reference here the Kindleberger – Aliber book, “Manias, Panics, and Crashes”, wherein myriad crashes or related incidents throughout the centuries are listed and discussed. Crises are caused by banks having too much leverage. They face an “inflexibility trap” and “negative convexity”. Generally, a shock occurs, a “fat-tailed event”, and as a result a bank suffers a loss on a product line such as subprime mortgages that, in turn, requires it to reduce the risk of its equity. To do so, it must issue additional equity or sell risky assets to pay back debt. With leverage, to reduce risk needs action. If the bank attempts to raise equity capital, however, it faces the “inflexibility trap”. By issuing equity, debt holders have more capital supporting their debt and are better off. Equity holders must be worse off. 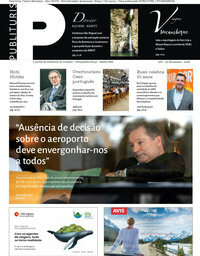 That is, on the announcement of the offering, the price of existing shares fall. This follows from option theory. When governments infuse capital into banks, the new capital benefits the debt holders. This is the true “moral hazard”. The simple remedy, therefore, is to require banks to have less leverage or—its converse—to have additional equity capital. This garners flexibility. And flexibility is valuable. It is an option. We can measure its value and price it accordingly. If society is to provide the option, it should charge for it in advance, and then it becomes the supplier of contingent capital to the financial system. This creates the correct incentives. This is not regulation; this is economics. “Negative convexity” arises as firms are required to invest to make money for their shareholders. When everyone else is driving over the speed limit, there is pressure to drive quickly as well; that is, more leverage to increase the return on equity capital. When a shock forces entities to reduce risk, they find it difficult to do so for many other entities are also attempting to liquidate positions at the same time. Not all the cars can slow down in time to prevent an accident. In financial markets liquidity prices increase dramatically, creating “fat tails”, and entities are unable to sell assets to reduce risks. With losses in one area, banks need to sell other more liquid assets. This, in turn, requires other banks to liquidate assets to reduce their risk. Liquidity prices increase and asset values fall across all markets as banks demand liquidity to reduce risk. This causes a deleveraging cascade in the financial markets affecting the capital of all banks. 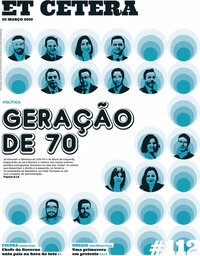 Although I don’t have the data available, I predict that bank capital ratios have fallen dramatically over the last 20 years, with deregulation of the banking sector in the 1990s, coupled with the advent of the Bank for International Settlements’ implementation of Value at Risk, portfolio theory, that is in vogue to determine bank capital, and with changes in accounting rules. Certainly, with additional equity capital, the return on equity capital of financial entities would fall, but the value of the enterprise would not be affected. Modigliani and Miller, over 50 years ago, wrote a classic paper in financial economics, demonstrating that the value of the firm is independent of its debt-to-equity ratio. 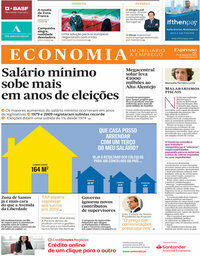 For this and related work, each was awarded the Nobel prize in economics. Although the required rate of return on debt is less than that of equity, the required return on equity increases with additional debt to just offset debt’s lower cost. In its simplest form why would an investor pay more for a leveraged firm than an unleveraged firm if she could acquire the unleveraged firm at a lower price and create the same capital structure on personal account? Their simple and elegant model has withstood many academic attacks including issues such as the tax deductibility of debt or bankruptcy costs. Miller argued in his 1977 presidential address to the American Finance Association that these issues are second order, “akin to a horse and rabbit stew – one horse and one rabbit.” Although additional equity capital and less debt capital will not reduce the total value of the bank, it will reduce the expected return on equity. This is of no consequence, however, since with less debt the risk of the equity is correspondingly less. The return-to-risk tradeoff is unaffected. Investors will need to expect a lower return on equity capital. If individuals, hedge funds, etc, want to achieve a greater expected rate of return with commensurately more risk, they are able to achieve such by leveraging on their personal accounts. Remember, however, that leverage is a two-edged sword. Wonderful when things are going well; a cancer when things are going badly. Since there are few costs and many benefits to this approach, capital requirements and pricing flexibility are the correct way to regulate banks going forward. Since this is the correct economic response, it trumps regulating the financial system heavily going forward. There is no need to “throw sand into the gears” to slow down innovation and new products. Capital is the solution and it is a form of “light regulation”. 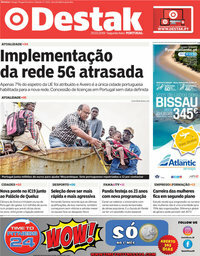 The current crisis is caused, in part, by inadequate regulation. Unless we have an adequate regulatory system—regulations and a regulatory structure that ensures their implementation—we are bound to have another crisis. This is not the first such crisis in the financial system that we have had in recent decades. Indeed, around the world, it is more unusual for a country not to have had a financial crisis than to have had one. They have occurred in societies with “good institutions”—like those in Scandinavia—and in societies without such institutions. They have occurred in developed and in developing countries. The only countries to have been spared so far are those with strong regulatory frameworks. In each case, the crisis has affected not just the lenders and borrowers, but also innocent bystanders. 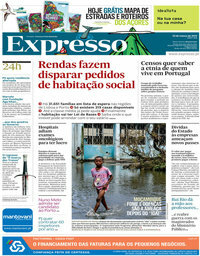 Workers have been thrown out of jobs as the economy plummets into a downturn, a recession or depression. Governments inevitably intervene, whether there is explicit deposit insurance or not. No democratic government can sit idly by while there is such suffering. There are, to use the economists’ jargon, externalities, and whenever there are externalities, there is a need for government intervention. There is, to some extent, some government insurance. Private insurance companies take actions to prevent the insured against losses occurring—for example, fire insurance companies insist on sprinklers in commercial buildings. The government has a responsibility to protect taxpayers, workers and others in our society and to do what it can to make sure that such crises are less frequent, and when they occur, less severe. Wall Street has asked for a massive bail-out—some $1.6 trillion so far, but most believe that this is just a down payment. The American taxpayer has bailed out Wall Street repeatedly—the S & L bailout, Mexico, Indonesia, Korea, Thailand, Argentina, Russia, Brazil and now this, the largest ever. One cannot keep asking for bigger hospitals and argue that nothing should be done to prevent hospitalisation in the first place. Regulations (including those relating to corporate governance, incentive structures, speed limits, lending practices) are necessary to restore confidence. When, a hundred years ago, Upton Sinclair depicted graphically America’s stockyards and there was a revulsion against consuming meat, the industry turned to the government for regulation, to assure consumers that meat was safe for consumption. Regulatory reform would help restore confidence in our financial markets. We have seen how badly the banks have behaved; we have yet to reform the regulatory structure or change the regulators. Why, with the extra cushion of taxpayer money, of the kind proposed in the British bail-out, without such reforms, should we expect them to behave much better in the future than in the past? Indeed, anyone who has seen America’s political processes at work knows that after Wall Street gets its money, it will begin fighting the regulations. 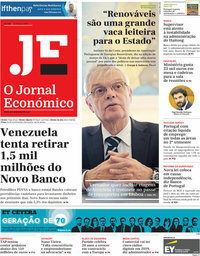 It will say: Government must be careful not to overreact; we have to maintain the financial markets’ creativity. The fact of the matter is that most of that creativity was directed to circumventing regulations and regulatory arbitrage, creative accounting so no one, not even the banks, knew their financial position, and tax arbitrage. Meanwhile, the financial system didn’t create the innovations which would have addressed the real risks people face—for instance, enabling ordinary Americans to stay in their home when interest rates change—and indeed, has resisted many of the innovations which would have increased the efficiency of our economy. In some places, there has been real innovation—the Danish mortgage market (though it’s hardly new) is an excellent example, with low transactions costs and much greater security. But elsewhere in Europe, there has been resistance to adopting this model. Markets have failed, but so too has our regulatory system. No one would suggest that because our tax system is imperfect, with evasion and avoidance, we should abandon taxation. No one is suggesting that because our markets have failed, and failed miserably, we should abandon a market-based economy. And no one should suggest that because our regulatory system is imperfect, it should be abandoned. As Paul Volcker once put it in the middle of the East Asia crisis, even a leaky umbrella can be helpful in a rainstorm. To be sure, both markets and our regulatory structures need to be improved upon. Not only new regulations are required, but also new regulatory structures. The Fed and other regulators didn’t do everything they could have done with the regulations at their disposal. This is the not surprising consequence of appointing as regulators people who don’t believe in regulation. A regulatory structure that worked after the Great Depression, before the invention of derivatives, is not one appropriate for the 21st century. We need to make sure that not just the voice and interest of Wall Street is heard, but so too the rest of the country, and we need to reduce the chance of regulatory capture. There was a party going on, and no one linked with Wall Street wanted to be a party pooper. As the old saw has it, the job of a good regulator is to take away the punch bowl when the party gets too raucous. But the Fed kept refilling the punch bowl, and now, we the taxpayer are asked to pay for the clean-up. Those entrusted with looking after retirement funds, those who realise what an economic downturn can mean for workers, those without a vested interest in keeping Wall Street’s parties going have to have a large voice in a reformed regulatory system. A good regulatory system has to take account of the asymmetries of information and other asymmetries between financial markets and government regulators. Those testing whether drugs are safe and effective may not have the creativity of those coming up with new drugs, but their tasks are different. Few would propose abandoning government oversight of drugs, simply because government salaries will be uncompetitive with those for testing the drugs in the private sector. Part of a new regulatory system must be a financial products safety commission, to make sure that no products bought or sold by commercial banks or pension funds are “unsafe for human consumption”. Ideally, such a commission would try to encourage the kind of innovation that would protect homeowners and make our economy more efficient. The question, more generally, is not so much too little or too much regulation, but the right regulation and a regulatory system that enforces the regulations we have. The risk we face is not that we will have too much regulation in the aftermath of the crisis but too little. After the crisis is over, the financiers who have done very well by themselves in recent years will use some of that money to distort the political process—campaign contributions have proven in the past to be high return investments. The system we had didn’t serve the country well. Financial systems are supposed to allocate capital and manage risks. However, risks were not managed, they were created, and capital was massively misallocated. But it did serve those in the financial system well. Many of these would like the old system to continue, with as little modification as possible. To do so would be a mistake. 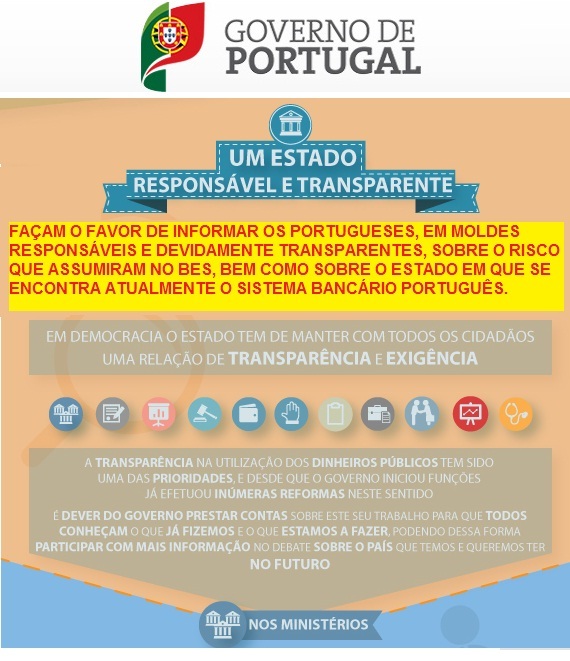 Um Estado responsável e transparente (que somos nós todos) é muito diferente de um Governo responsável, exigente, transparente e devidamente credível! 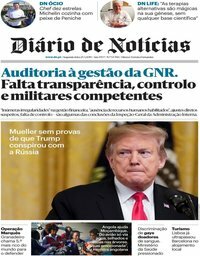 O Governo é que tem de ser responsável, responsabilizado e devidamente transparente. 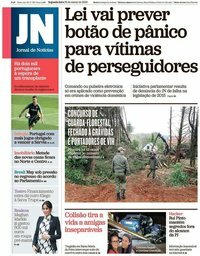 Banco de Portugal admite falência do Novo Banco. 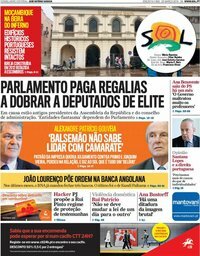 Regulador/Supervisor está habilitado a dissolver o chamado ‘banco bom’ caso conclua que não é possível vender todo o património da instituição. 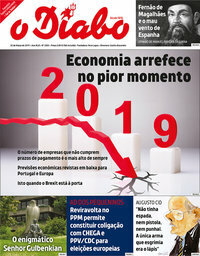 Afinal havia risco para os contribuintes ou não? 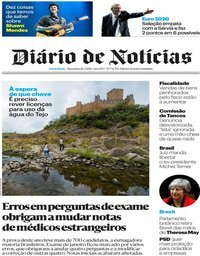 Quem vai ficar a pagar os prejuízos que os outros fazem à descarada?